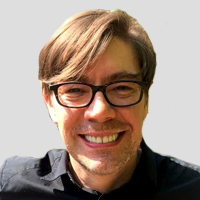 Dr. Matthew McGlone (Ph.D., Princeton University) is Professor of Communication Studies, Associate Director of the Center for Health Communication, and Graduate Studies Representative for the M.S. Program in Identity Management and Security. He studies social influence, persuasion, and deception, with an emphasis on the key role language plays in these processes. His current research projects explore the strategic arousal of fear to promote healthy behavior; text messaging strategies for promoting HPV vaccination and other health/wellness behaviors; how people interpret and misinterpret tweets and other social media content; deception tactics used by identity thieves; how patients describe pain, addiction, and illness. He teaches courses on persuasion, deception, and identity management in interpersonal communication. Dr. McGlone has published numerous articles in communication (Communication Monographs, Human Communication Research, Journal of Communication), health/medicine (Journal of Health Communication; Vaccine), psychology (JEP: General, JEP: Learning, Memory, and Cognition, Journal of Experimental Social Psychology, Journal of Language and Social Psychology, Memory and Cognition, Psychological Science) and discourse studies (Discourse Processes, Poetics, Journal of Pragmatics, Language and Communication, Metaphor and Symbol). He has edited two books (The Interplay of Truth and Deception, Routledge, with Mark Knapp; Work Pressures, Routledge, with Dawna Ballard) and coauthored a textbook (Lying and Deception in Human Interaction, Kendall Hunt; with Mark Knapp, Darrin Griffin, and Billy Earnest). He has received grants for his research from the National Science Foundation, U.S. Department of Education; Kozmetsky Family Foundation, IDWise - Texas, and Cancer Prevention Research Institute of Texas (CPRIT). He has receive awards from the U.S. Department of Education, the National Communication Association, the Western States Communication Association, and ID360. He recently completed a term as Chair of National Communication Association’s Division of Communication and Social Cognition.